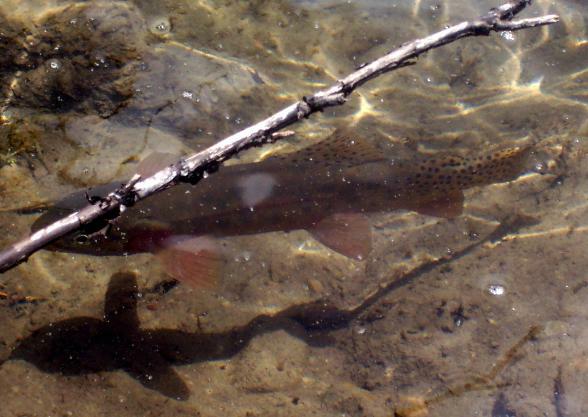 All anglers are responsible for obtaining a valid Colorado fishing license prior to the outing.Colorado fishing licenses may be purchased online from the Colorado Division of Wildlife.Click here to buy a Colorado fishing license. Our full day guide package includes ALL rental equipment if needed (rod/reel/waders), terminal tackle, flies, beverages, lunch and dessert. We typically fish from 8:30 am until 4:30 pm. A gratuity for the guide is not included (approx 20%). Great Colorado trout from the South Platte. Pricing is the same for lessons, instructional guide trips and guide trips. This price includes all the costs including flies and the GRATUITY! Good for 1 year. Not redeemable for cash. We can e-mail gift certificates for last minute gifts! 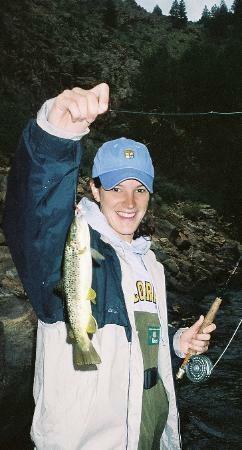 Full service guided fly fishing trips. Our ½ day trips include 4 hours of fishing and can be set up for morning, afternoon or evening excursions.Pricing includes beverages, terminal tackle, and ALL equipment (rod, reel, waders, flies). Guide gratuity (approx. 20%) not included. 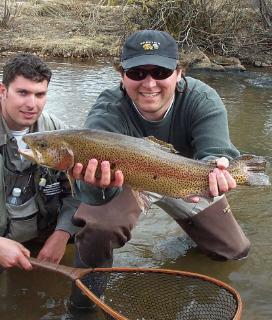 Colorado’s top fly fishing guides. This price includes all the costs including flies and the GRATUITY! Good for 1 year.Not redeemable for cash. 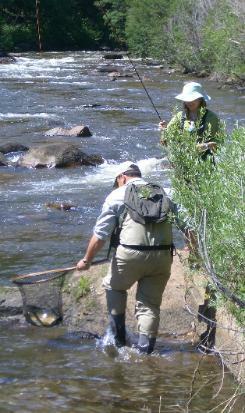 Our corporate full day Colorado guide trip package includes rental equipment if needed (rod/reel/waders), terminal tackle, beverages, lunch and flies. Our corporate clients often opt to fish private water. The private water rod fees are additional to these prices. We typically fish from 8:30 am until 4:30 pm. 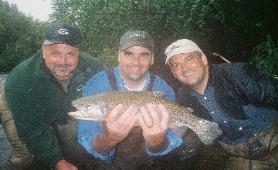 We bill all corporate fly fishing trips in full in advance. 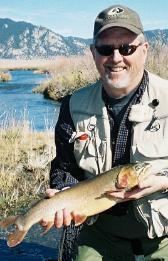 Big Colorado rainbow trout on a Colorado Trout Hunters guided fishing trip. All private water rod fees are billed at the time of booking and are strictly nonrefundable. Gift certificates are to be paid in full on purchase, are good for one year, and not redeemable for cash. A 50% deposit of the guide fee is required for trip reservation. This is fee is refundable up to 30 days before a trip. trip date taking place within one year from the date of the original trip. Colorado trip cancellations from 7 days prior to the day before the trip forfeit the deposit. Cancellations or no-shows on the day of the fly fishing trip will be billed in full for the day. 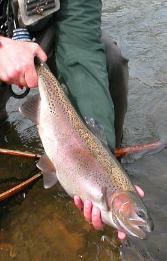 Corporate guide trips will be billed in full prior to the trout fishing trip. I've been lucky enough to fish with some great guides all over the world. Danny is about the fishiest guy I've ever met. He will work his tail off to get his clients into fish. Highly recommend getting a day on the water with him. Most amazing fish whisperer you will meet. He knows where they are because they come to him! And you benefit. Great fun!! The best guide we have ever fished with!! His passion, knowledge, fun nature makes for many fish, laughs, and a perfect day!!!! I went on my first flying trip ever with Danny Frank. He was incredibly knowledgeable about the river as well as the fish who lived in it. With his help my dad and I were hooking and netting fish within half an hour of being on the river. I cannot wait to book my next trip with him! I have booked several trips with Colorado Trout Hunters and just want to say these guys are great! The guides are all really patient and are a lot of fun to fish with. 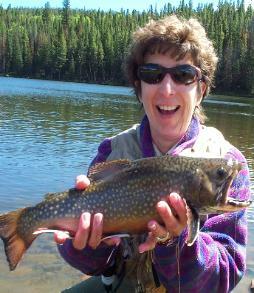 If you want to catch fish, book a trip with Colorado Trout Hunters! Definitely book with these guys! I went today with Fred and he was very friendly and knew exactly where to find the monster trout we were targeting. We met many people throughout the day that had caught nothing at all, while I personally landed 8 fish 18+ inches in length, include one massive 22in brown trout!! For an experienced angler like myself Fred was great, offering helpful tips along the way and sighting the "big boys" for me to cast to. An epic day I will never forget. Thanks guys!! I looked everywhere before deciding on a guide to take me out fishing around the Denver area. I've had a few bad experiences in the past with various guides but let me say this, best experience I have EVER had with a guide. Super professional, everything rigged up and ready and these people know what they are doing. There is no down time and if you are a serious fisher or even an every once in a while one this is the place to be. 100% attention to you and a great personality make a perfect day.